Mazda’s all-new Mazda6 flagship model will be priced from £19,595 when it goes on sale in January 2013. The range will kick off with a the 2.0 SE petrol and prices rise to £28,045 for the 2.2 diesel Tourer Sport Nav automatic. The Mazda6 uses lightweight materials, high tech engines and fuel-saving sytems like stop/start to reduce emissions and improve fuel economy. 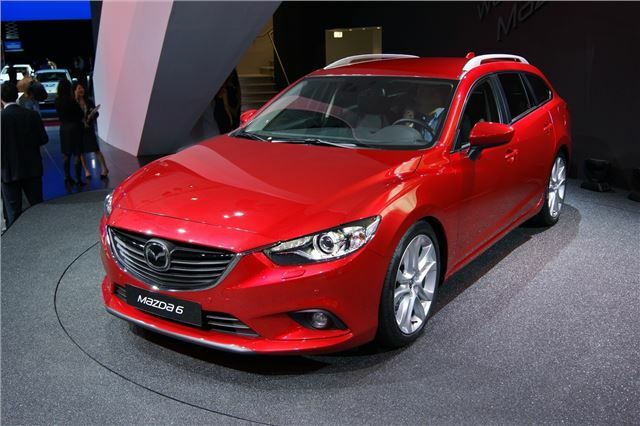 Mazda is aiming for emissions of 108g/km for the cleanest models. The cabin has been designed for comfort, with the windscreen pillars moved forward to give a better view at junctions and an ergonomic design to maximise comfort and driver involvement. There are also an array of driver aids to keep occupants safe.